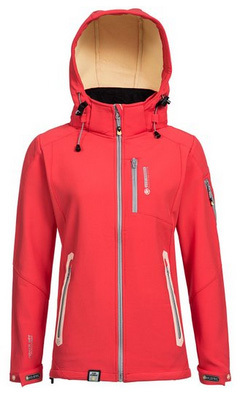 After our review of this softshell outdoor jacket for men from Geographical Norway, today we’re going to make another in-depth review of a very similar item from the same brand, this time for women. 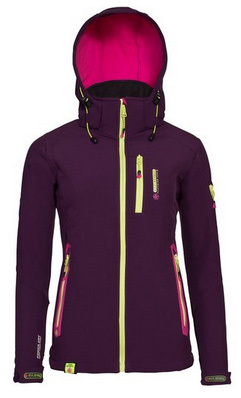 Softshell jackets are a pretty popular type of jacket, especially for those who enjoy sports and outdoor activities. 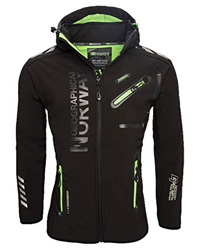 As you will see, today’s item comes in an eye-catching design and with some of the best features a softshell jacket can possibly have. As usual, we will separate the review in different paragraphs for a more detailed view of all the features that this product has to offer. 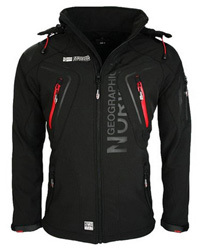 This Geographical Norway jacket is designed specifically for outdoor activities. Those who enjoy being active, should definitely consider it. This is a softshell jacket, which means that it will keep you dry and warm, while at the same time ensuring that you will not overheat, despite the amount of physical activity you will be doing. Softshells are also used as layering jackets, underneath a heavier one, such as a parka, if it is extremely cold, or under skiing jackets. This one comes with a considerable repellency towards wetness, and the zippers are fully protected to ensure that no rain or snow gets through. The insulation is, of course, one of the best elements of this jacket. It comes with a really high collar, that goes up to the chin and with an adjustable and removable hood, which can be fitted around the face with drawstrings. The cuffs have Velcro fastening and there are drawstrings along the hem as well, to make sure that the jacket it fitted as tightly as possible, in order to maintain the heat inside, while also offering protection against challenging conditions. It also comes with several pockets, two of which are located on the sides, one on the chest, one on the arm and two are placed inside. One of the inner pockets comes with a duct for earphones, in case you prefer listening to music while exercising or spending time outdoors. With all that being said, this is a sports jacket and it does perform best when used in outdoor activities. The fact that it also looks very elegant and feminine, are a definite plus. 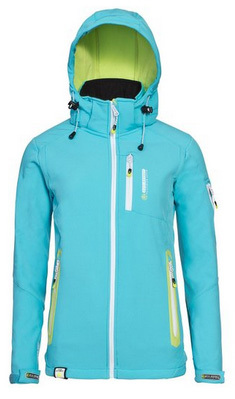 The materials of this jacket are layered in two parts, the outer part, made of 96% Polyester and 4% Spandex, and the inner part, made of a fleece lining of 100% Polyester, along with a mesh lining for higher breathability. It is water repellent, which is provided by the Power Dry 4000, that also dries considerably quickly, a very important thing when it comes to sports jackets. 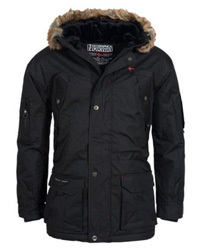 The Polyester on the outer part is used to ensure the water-repellency as well as the durability of the jacket. The spandex allows for some elasticity, so it will fit properly and feel comfortable. This also ensures maximum mobility, which is one of the most specific features of softshells. As for the fleece lining, it offers not only warmth, but high breathability as well, a very essential feature when being physically active. The zippers are also rain resistant and covered underneath, to offer better protection and insulation. The colors available for this jacket are quite “out there”. You can’t help but notice them. They are vibrant and combined beautifully. The choices include: Coral with grey and cream details, Grey with pink and orange details, Turquoise with white and green details, Violet with lime and pink details, and lastly the White with orange details. As for the logos, they are minimal and include the one on the chest (Geo Norway Platinium 4000), next to the pocket’s zipper, the one on the right side of the hem and the two brand’s logos on the cuffs, over the Velcro flaps. It’s time for the honest feedbacks from actual users. Those who have purchased this jacket, have only good things to say about it. 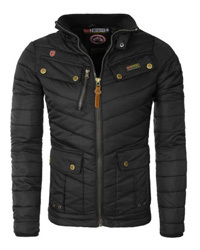 It is a very comfortable jacket and performs very well in cold and damp weather, as several users write. It fits properly and the hood and hem adjustments are certainly helpful. They comment on how warm it is and for how long it manages to retain the warmth, when spending a long time outside. And lastly, they are more than happy with the way it looks and the colors it comes in, in case some of you might be a bit worried about how it fits and looks. 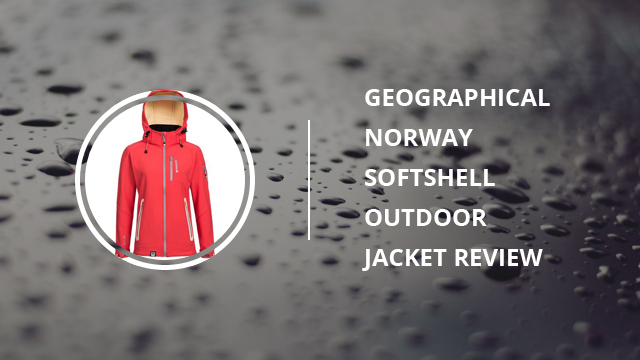 This jacket is one of Geographical Norway‘s most innovative designs and still manages to give you comfort and a feminine style, while offering the best that a softshell jacket comes with. Therefore, if you are looking for a sports jacket to take with, while skiing, hiking or even going for a light jog, give this one a shot.